Samsung has announced plans to exit production of plasma televisions, a sure sign that the end is near for the display technology. The Korean firm will build its last set on November 30 this year in order to switch focus to 4K and cuved television sets, it said in a statement. The decision, it says, comes due to changes in the market. A statement provided to CNET read: "We plan to continue our PDP TV business until the end of this year, due to changes in market demands. We remain committed to providing consumers with products that meet their needs, and will increase our focus on growth opportunities in UHD TV's and Curved TV's." Samsung's plans to shut down plasma production follows Panasonic's October 2013 decision to do likewise. 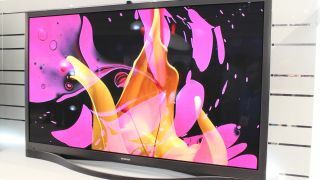 Panasonic bowed out after deciding production of 4K plasma panels was too expensive compared with LED LCD technology. Reports in Korea claim it won't be long before LG follows suit.